Heading East on I-35N, exit 174A toward FM 1518-Selma-Schertz Take the frontage road to Pasatiempo and turn Right Turn Left at the first cross street onto Green Tee Green Tee turns Right and becomes Winged Foot Turn Right onto Quaker Ridge. Hello, I’m interested in 8926 Quaker Ridge and would like to take a look around. 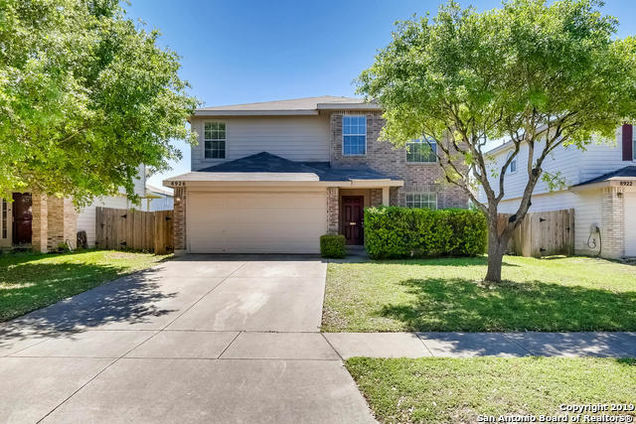 The details on 8926 Quaker Ridge: This house located in Judson, Selma, TX 78154 is currently for sale for $234,000. 8926 Quaker Ridge is a 2,345 square foot house with 4 beds and 2.5 baths that has been on Estately for 7 days. 8926 Quaker Ridge is in the Judson neighborhood of Selma and has a WalkScore® of 17, making it car-dependent. This house is in the attendance area of Olympia Elementary School, Kitty Hawk Middle School, and Judson High School.